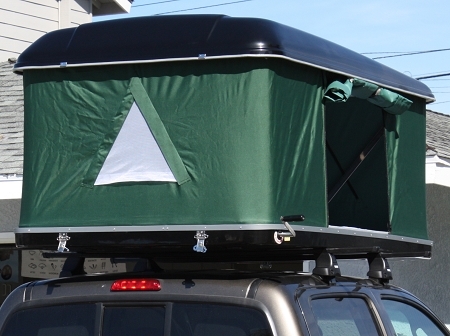 Jeep Roof Top Tent Free Shipping NO SALES TAX Today! 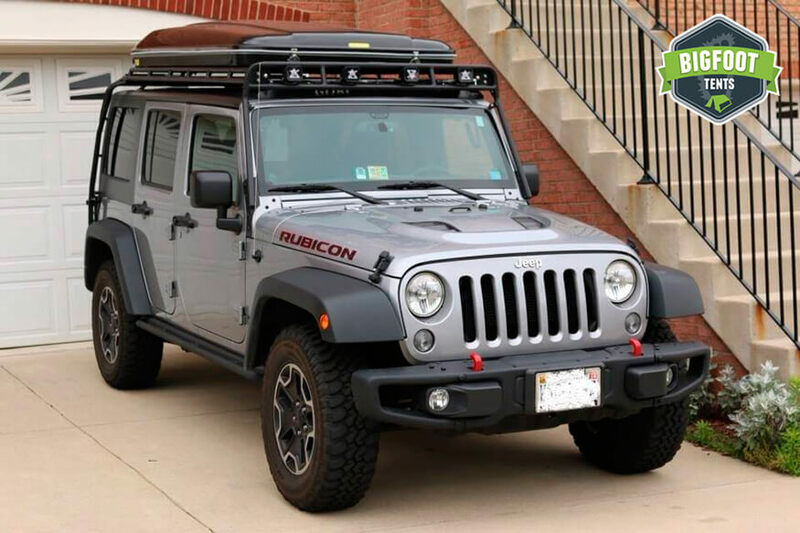 Order today your new Jeep RTT will arrive within 10 to 14 days right to your curb! 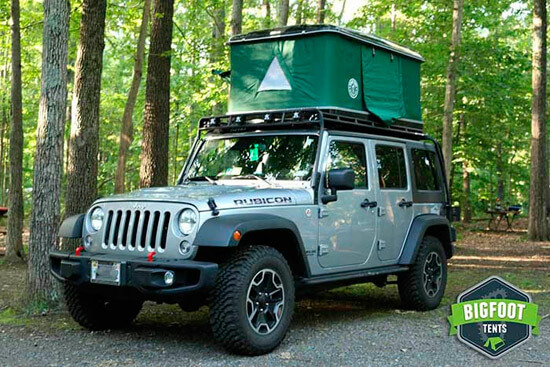 This amazing tent is one of the finest crafted Jeep tents that you can own. 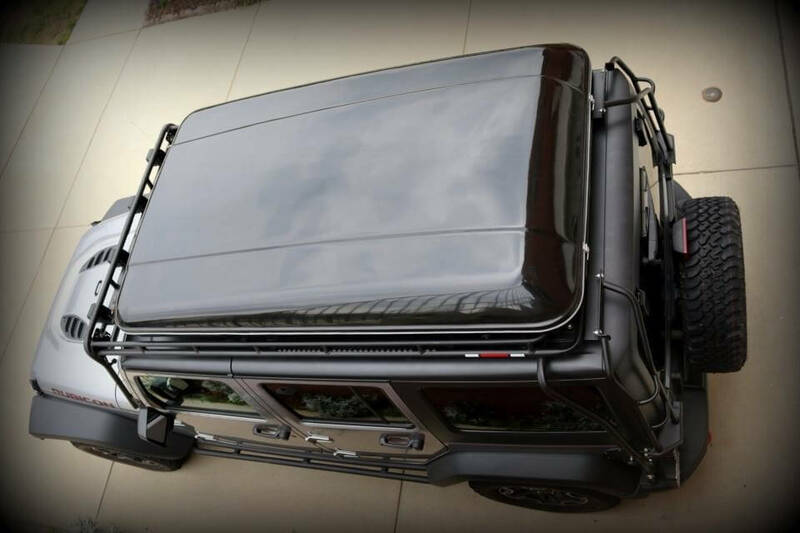 This Jeep Roof Top Tent reigns supreme price wise over other more expensive Jeep tents the premium quality makes one wonder why anyone would pay more for more expensive brands.This "Bigfoot" Vehicular Shelter Model 5590 has special features and specifications that are specifically garnished by Bigfoot Roof Top Tents alone like the Duck Back Hard Shell combined with state of the art waterproof polyester giving the user maximum water protection to keep you dry in the most extreme conditions.You can literally pull your Jeep over to the side of a lake and open your tent within two minutes and be taking a peaceful nap just to awake and close it in two minutes and be on you way.Customers have commented how they like to share the space with their beloved pets like the family dog or cat.Sitting by the beach watching the waves.A tent built to last with substantial protection from the almighty sun every tent includes a U.V Treated application no need to worry about all those long days shielding you from the sun. 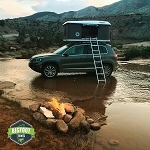 This Jeep Rooftop Tent is not like other roof tents you may have used or even seen in the past.This updated car & truck roof tp tent is made to fit on almost any common car or truck roof rack system like Thule or Yakima.Unlike some roof top tents this unit is constructed to withstand almost 600 lbs. It's very difficult to get these and keep them in stock to the winning bidders enjoy the freedom that this amazing product offers. Don't go without a Jeep Tent! Got the Jeep Roof Top tent a few weeks ago. The unit was exactly as advertised and of excellent quality. We shopped around quite a bit this was BY FAR THE BEST DEAL. 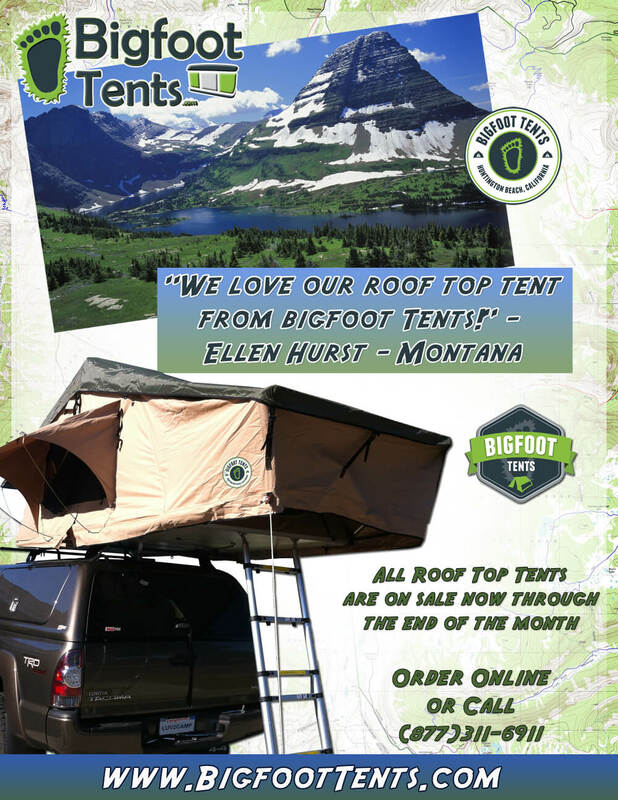 It's hard to locate good tents for Jeeps and we appreciate the insight Bigfoot Tents offered us having worked with so many Jeep owners in the past. You all ROCK!